Reduced!!! Stunning 4 bedroom, 3 1/2 bath home with full of extras. Too many upgrades to believe! Open concept floor plan with high vaulted decorative ceilings with porcelain tile throughout the entire home. This home features glass inserts on walls and floor accentuating its beauty! Sub-zero stainless steel kitchen appliances are included. Master bedroom is very spacious and has an office right by the entrance. The bedrooms are on a split floor plan with a theater room to entertain the family. The backyard is incredible and ready to host the entire family and friends! 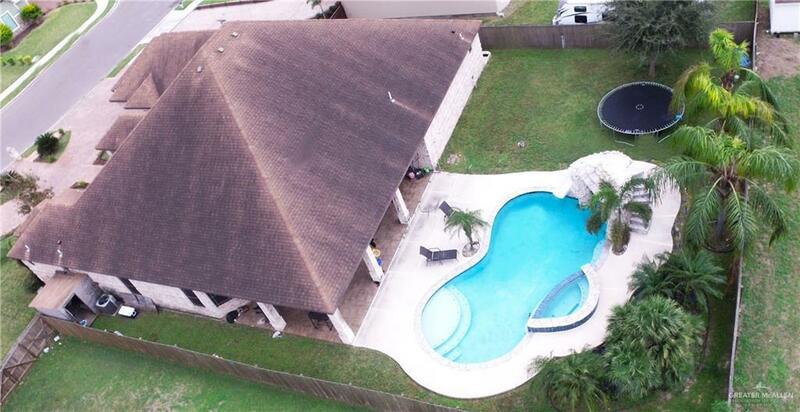 Large covered patio plus a sparkling pool with a built in slide and a hot tub. 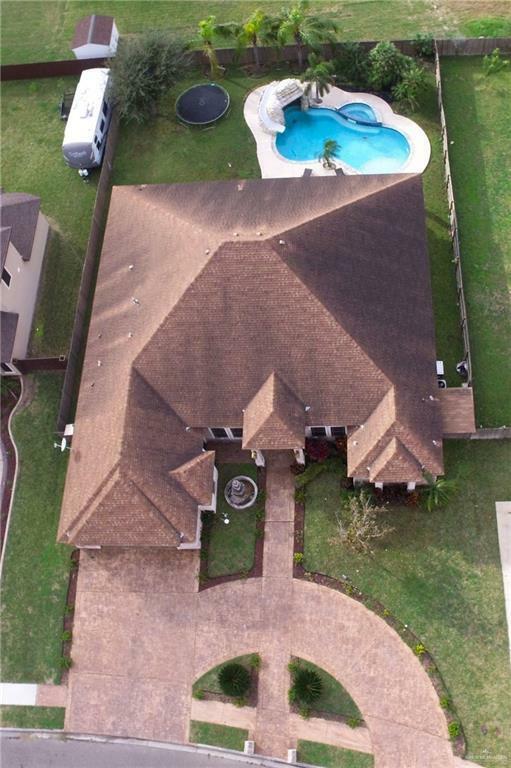 Property features beautiful landscaping and sprinkler system all around. One-of-a-kind home guaranteed to wow you!